The newly created Dawusaso District of The Church of Pentecost in the Ashanti Bekwai Area has been inaugurated. 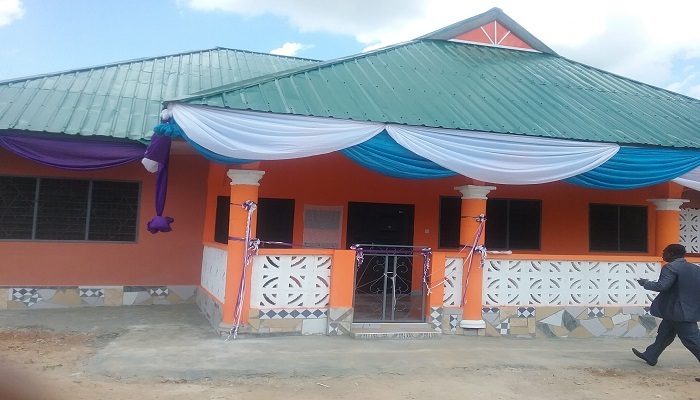 The event which was performed by the Area Head, Apostle Nicholas Appiah Missah, coincided with the dedication of the district mission house, which was constructed at a cost of GH¢136,000. The district was created during the 43rd General Council Meetings held earlier this year. It was carved out of the Keniago District. Present at the event were pastors and their wives from the Area, Mrs Leticia Appiah Missah (wife of the Area Head), Elder Nicodemus Adatsi (Area Deacon), Queen mother of Dawusaso, among others. Report by Overseer Benjamin Asare.